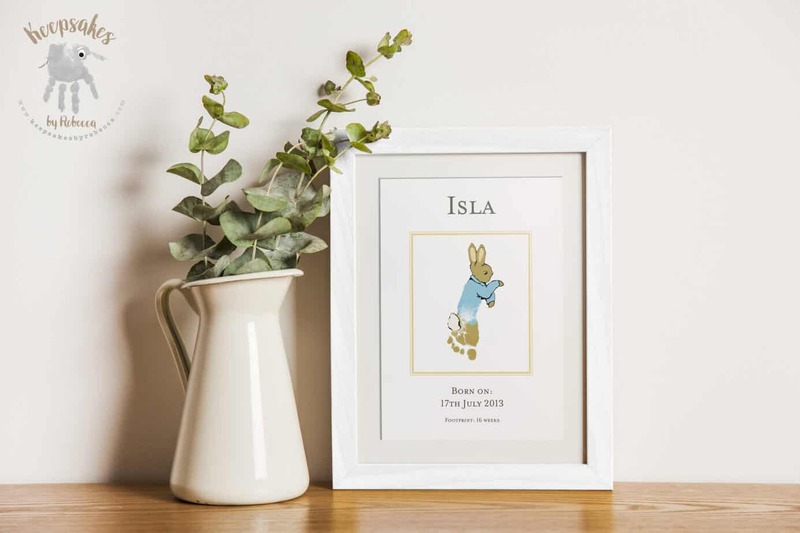 A beautiful Peter Rabbit themed keepsake, using your child’s/children’s actual footprint. This design features one footprint. (please specify the name and age of the child when ordering). children aged 0-3 years will have their footprints kept lifesize, older children’s will have to be resized unless your order a larger size, please get in touch for more information. 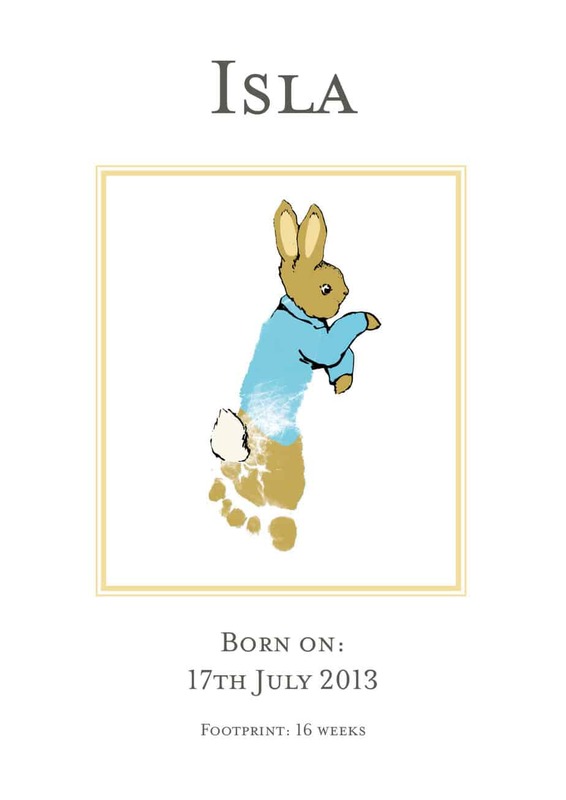 UNFRAMED or FRAMED mounted Peter Rabbit footprint keepsake. Jemima Puddle Duck handprint is also available. Please get in touch for more information.